Planning on schussing as often as you can? Consider a pass. Purchase your schuss-ready, board-awesome pass ahead of Nov. 14, 2017 and save two hundred bucks. CALI4NIA PASS... online HQ. If you do decide to purchase ahead of the 14th, you'll save two hundred dollars on a 2017-2018 pass. That price? It's $849, which covers "...over 200 days of shredding this season." If you're reaching for your calculator, to see how many regularly priced days that price would cover if you paid for each visit, one by one, here's the word: Less than seven days in all, per the pass page. 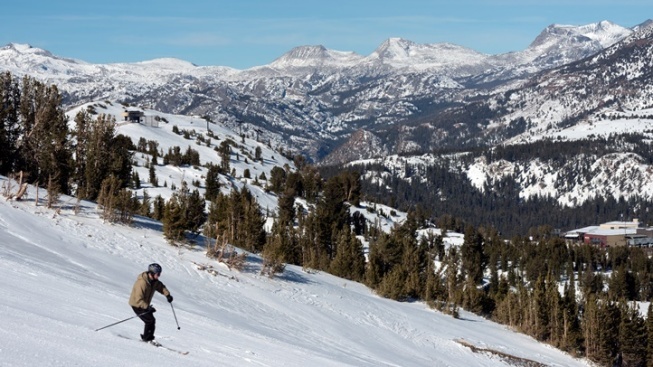 Will you hit the slopes more than seven days? Is that your commitment this coming winter? A gotta-get-out-more life goal? Then hook into a pass, pronto. THE FOUR RESORTS... covered include Mammoth Mountain, June Mountain, Bear Mountain, and Snow Summit. As for some of the perks? "No blackout dates" seems like a good first thing to mention, as well as a heap of discounts and Bring-A-Friend offers.